In the last few decades, new sources of evidence have continued to indicate that male violence has played an important role in shaping behavior in the human lineage. The frequency and nature of such violence varies widely among populations and over time raises questions about the factors responsible for the variation. In the past, much controversy and even some acrimonious debate has occurred over the question of whether humans lived in a state of ancestral peace. 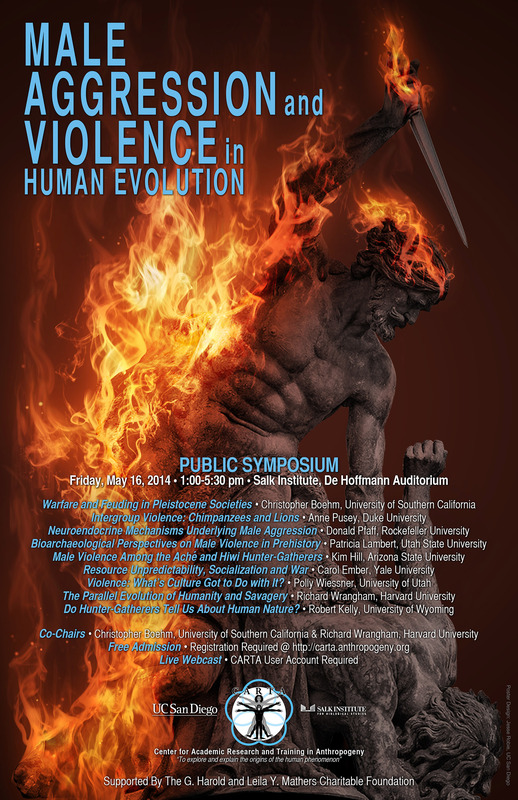 The aim of this symposium is to set aside such theories and debates and take a fresh look at the causes and consequences of variation in aggression, both between and within species. The focus will be on speakers who can critically examine and represent the available evidence from multiple sources, including comparative ethology, ethnology, archaeology, political science, and evolutionary neuroscience. While the symposium may not come to any definitive conclusions, it should allow for the best interpretation of the current evidence, and help suggest research agendas for the future.